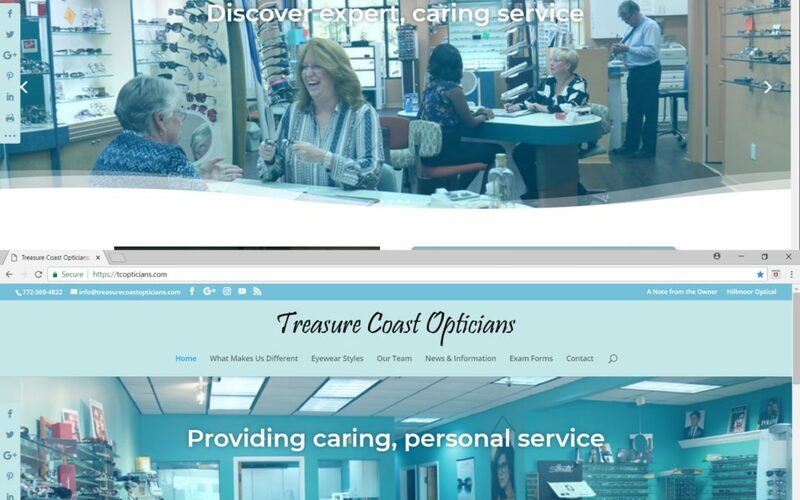 We’re very excited to announce the launch of two new websites for affiliated optical stores Hillmoor Optical and Treasure Coast Opticians. Building upon our branding efforts, both sites share a similar theme and navigation, but with unique content carefully crafted to maximize organic search engine optimization (SEO). Take these sites for a spin and discover the difference offered by these two local, family owned businesses. Having an up-to-date, responsive website properly aligned for SEO is an important step in creating a dynamic digital presence.